While I’ve found my favorite, beloved natural perfume, I have a little leeway to experiment with scents because of the fabulous aromatherapy category. My introduction to this in-between category that’s perfect for layering scents and inspiring calm is thanks to Amayori and its Aromatherapy Botanical Perfume Oils. Of course, my oil of choice is Geisha, which includes jasmine oil — hello, ninth post in #12DaysOfJasmine! In a base of beautiful camellia oil, Amayori’s Botanical Perfume Oil in “Geisha” evokes the feminine, exotic and subtle sexiness that reflects the allure of its namesake, the geisha. Amayori Botanical Perfume Oil in “Geisha” brings together an interesting combination of sultry and bright scents — think jasmine and yellow mandarin peel — for a happy-scented aromatherapy perfume oil that offers a brightness to your day without being a complete shock to the senses (citrus scents can do that to my nose). 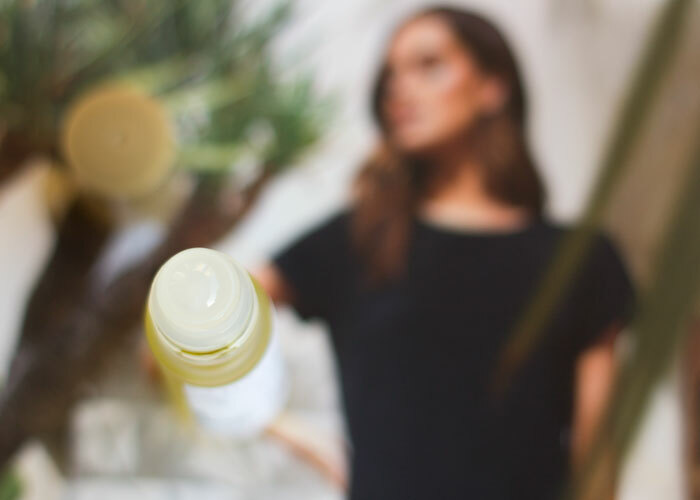 Throughout the day, I like to roll this oil onto my pulse points — particularly my inner wrists and the back of my neck — to reinvigorate my day with beauty and cheerfulness. Amayori Botanical Perfume Oil in “Geisha” is something I like to keep in my cosmetics bag to touch up throughout the day, as the scent is not too powerful to overwhelm my coworkers, but just enough to inspire sweetness and beauty in my workday. Though Amayori doesn’t use certified organic ingredients (yet), its natural approach to aromatherapy is commendable. Each blend is designed “to stir the emotions and awaken the senses,” and that has been my experience in using the “Geisha” oil. Amayori also presents sophisticated scent stories in its collection (I also have my eye on the “Onsen” scent, which brings together Japanese cypress wood with jasmine) for the woman who is searching for something truly special. I’m excited to see more from Amayori; keep this emerging natural beauty brand on your radar. I’d repurchase this roller oil, and scoop up the “Onsen” ritual while I’m at it. What do you look for in aromatherapy blends? Which rollerball fragrances do you love? Are you collecting everything jasmine just like me? Tell me in the comments section!